‘Big Des’ (Desmond) Baker – Logistics Team Leader. Des has lived in Dulverton (in the same house) for 59 years. He can regularly be seen around the town whilst carrying out his gardening business. 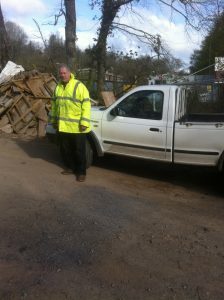 Simon Jones – Wood Removal Team Leader. Simon has lived at Weirhead for 11 years, he looks forward to having more time to spend helping with the weir & leat project when he retires. 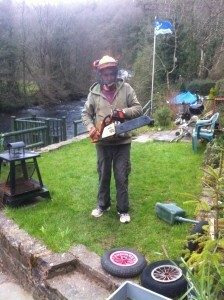 Jeremy Kenwood – Wood Removal Team Leader. Jeremy moved to Dulverton with his parents in 1986. He has lived here for 30 years. 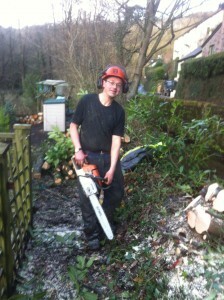 He now runs a tree surgery business with customers all over Exmoor, and is also studying for a further degree in countryside management.